This page will provide you with background information about the London Wetland Centre. The Wetland Centre is a human made ecosystem designed to provide an aquatic habitat for birds and animals in London. The London Wetland Centre has created different wildlife habitats such as lakes, pools and gardens that are homes to birds, frogs and newts. There are scrapes for wading birds to feed on, reed beds where up to seven bitterns make their home each winter and grazing marshes and wildflower meadows. In the decade since the centre opened over 200 species of bird have been spotted. Other animals include ducks, swans, reptiles, amphibians, numerous dragonflies, butterflies and water voles. In spring you can hear the screeching croak of marsh frogs and summer is the ideal time to watch the aerial acrobatics of swifts and sand martins. At dusk you may see bats swooping across the water, hunting for insects. What geographical features make this a perfect site for a wetland? 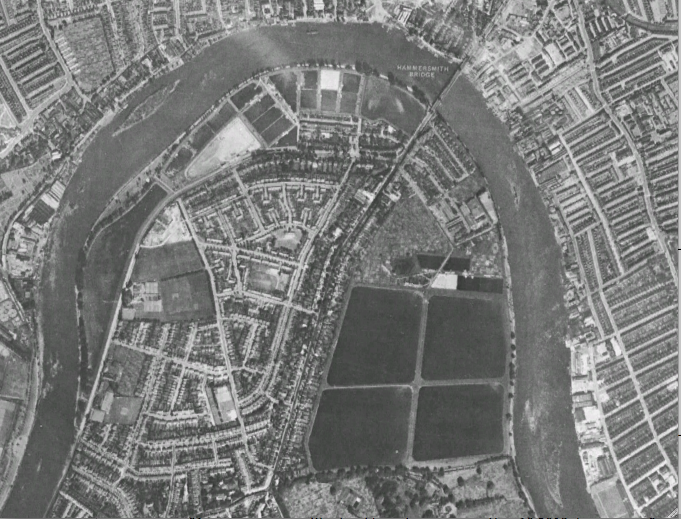 This image shows how the land was used in 1945. What do you think the four squares are? What is the economic, social and environmental value of this site? This is the site as it looks today. How has the land use changed? How has the land use stayed the same? Download the map below and follow the instructions on the sheet. 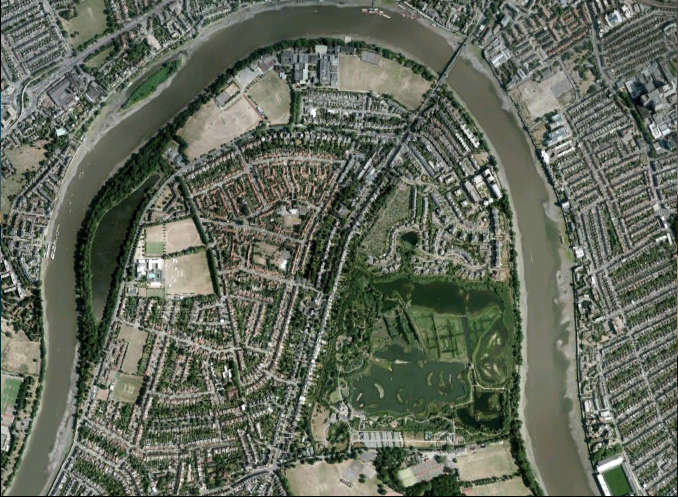 Can you locate where the London Wetlands Centre is today? 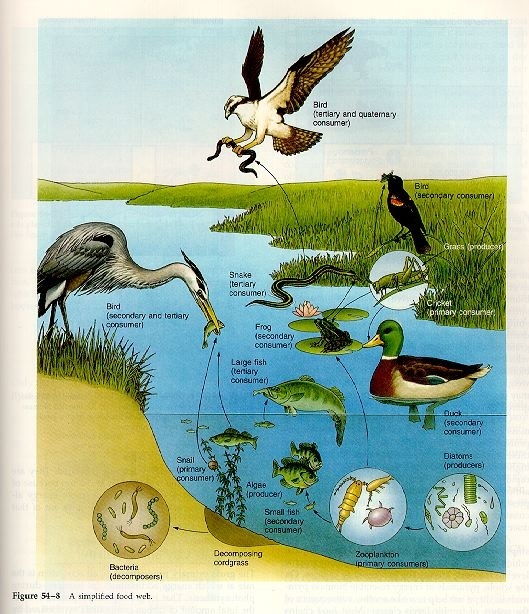 This is a simplified example of a wetland ecosystem food web. The arrows mean "is eaten by"